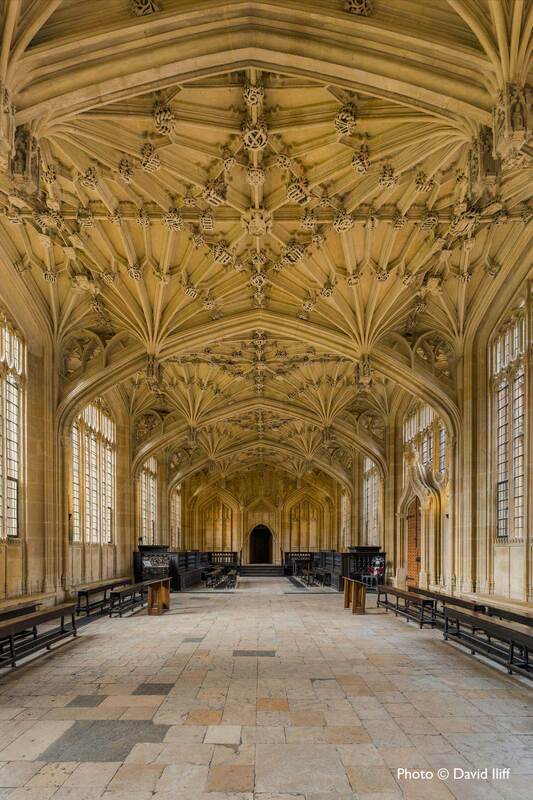 The Bodleian Library has its rich history not only in printed form but also in its architecture. 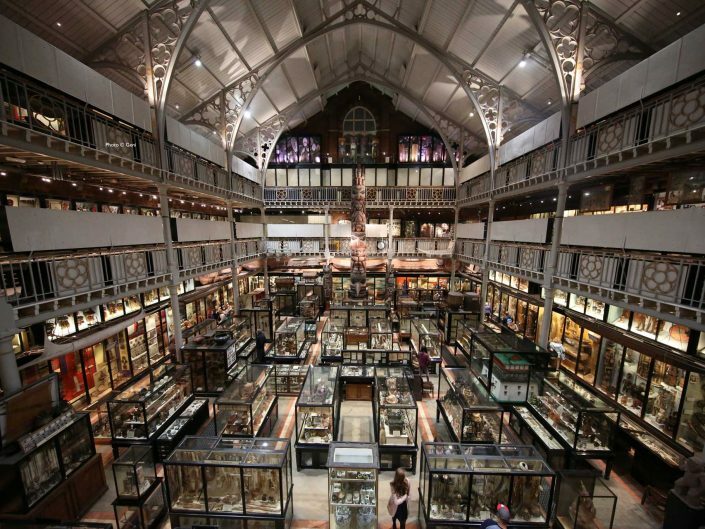 What makes it distinctive is the entitlement to own free copies of all books and printed items published in Great Britain, a practice that began in 1610, meaning the library contains an unrivaled 400 year record of British literature. From oriental manuscripts and collections of English literature, to local history, and early printing, the library holds over 12 million items which occupy 117 miles of shelving! It’s a working library which forms part of the University of Oxford and it’s not one library but many libraries which make up the largest university library system in UK. 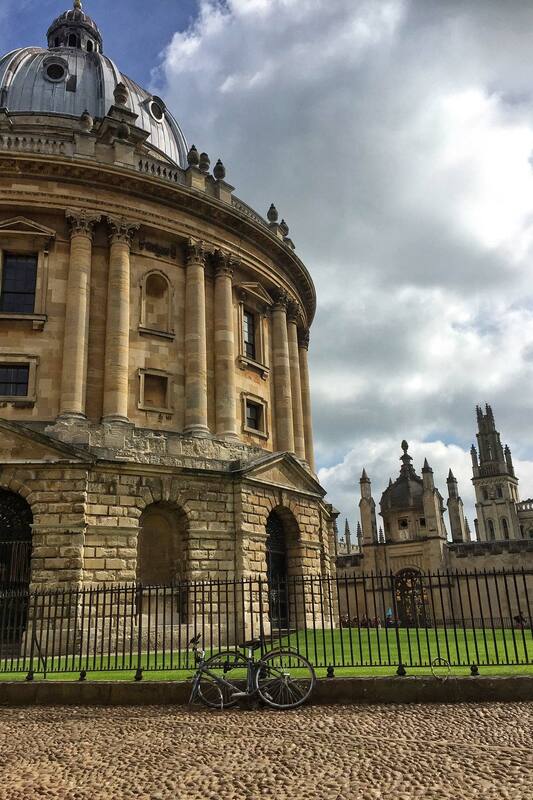 Housed in buildings spread all over the city of Oxford, the Bodleian Library turns to be the second largest library in Britain after the British Library. 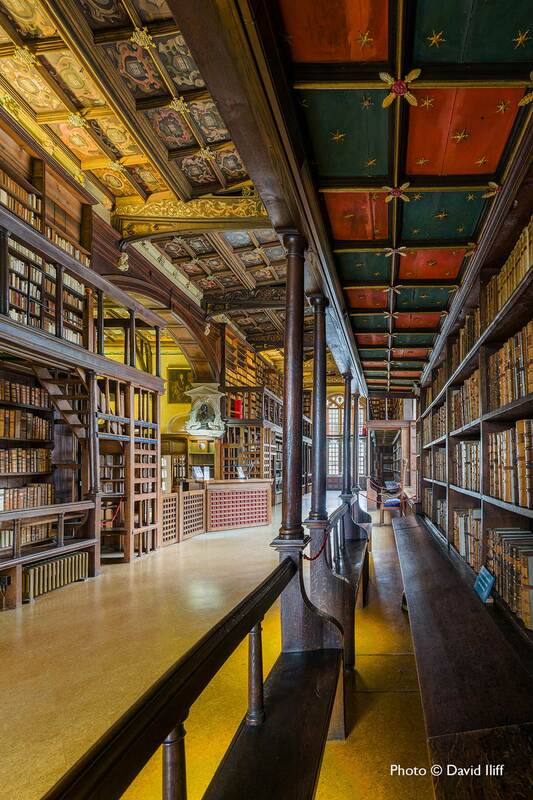 Image credit: The Duke Humfrey’s Library by David Iliff, source Flickr. 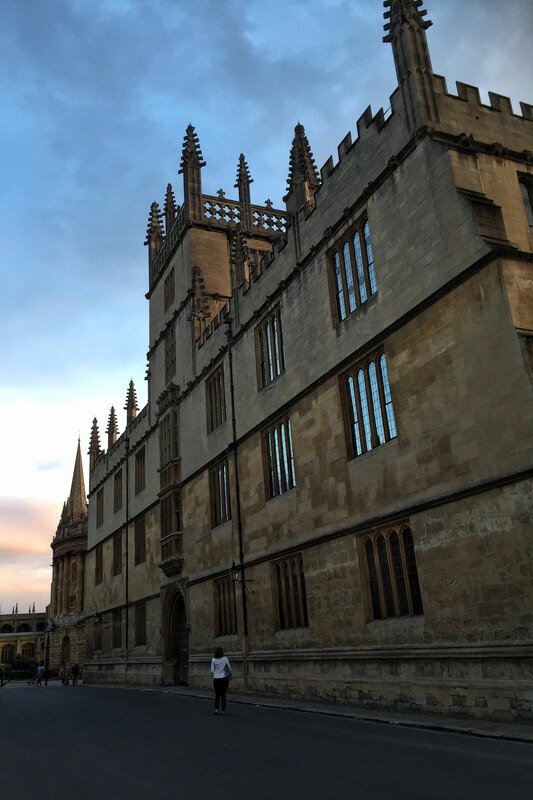 The first library for Oxford University was founded under the will of Thomas Cobham, Bishop of Worcester, in 1320 in a small room above the Old Congregation House, situated above the north side of the University Church of St Mary the Virgin. In 1488 a new library building was erected to house manuscripts donated by Duke Humfrey which is the oldest part of the Bodleian today. Humfrey gave the University his priceless collection of more than 281 manuscripts, including several important classical texts. However, in 1550 the Dean of Christ Church, seeking to eradicate all traces of Catholicism such as “superstitious books and images” emptied the library’s contents. 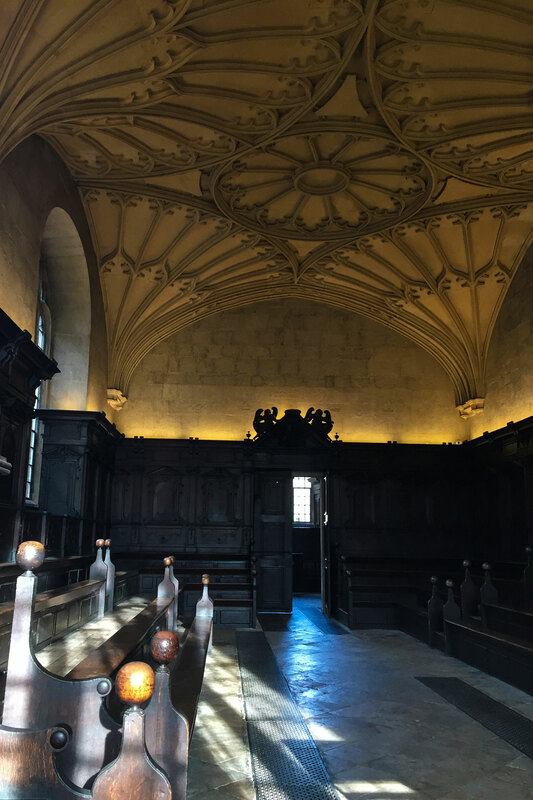 Its present state is largely due to the efforts of Sir Thomas Bodley, a 16th-century fellow of Merton College who rescued the library in 1602 from a parlous state and decline. In 1610 he came to the agreement with the Stationers’ Company of London that the Bodleian was entitled to receive a free copy of every single book published in the England – an agreement that still stands today. 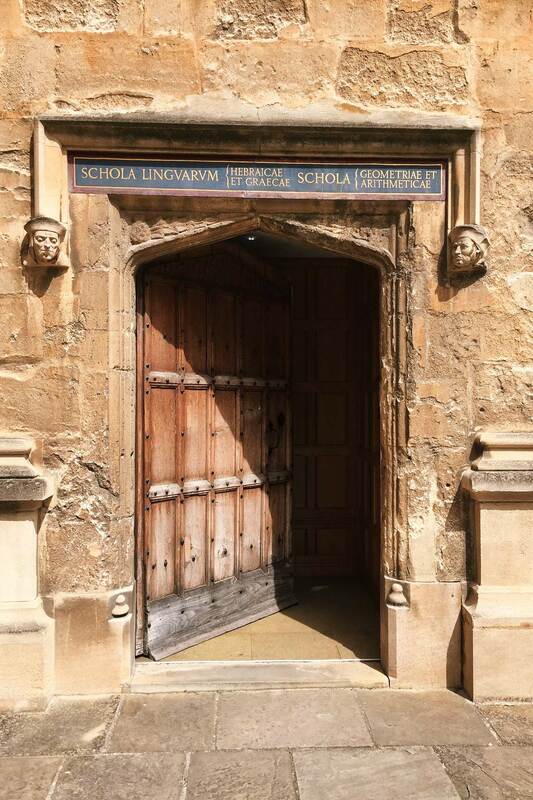 Another tradition which makes the Bodleian so unique is the not lending rule – no books can be borrowed, only read on the premises. Before a student can gain admission as a new reader, they must take an ‘oath of fidelity’ (once done orally in Latin) not to remove any text from the library nor to bring a flame, start a fire, or smoke in the library. Even King Charles I and Oliver Cromwell were refused permission to borrow books. Interestingly, much of the library’s impressive storage space is in underground tunnels built in the early 1900s. A system of conveyor belts delivers volumes through the tunnels to 29 reading rooms in the various library buildings. Each book must be requested in advance and retrieved by a librarian to ensures that the library knows the exact location of every volume at all times—down to the particular chair in which each reader is sitting. It was Bodley’s innovation to store books on their ends rather than on their sides as had previously been the custom. This invention allowed more books to fit in a smaller space while also making them easily accessible. The Library had no heating until 1845. A strict policy permitted bringing fire into the library buildings. This situation changed in 1845 when Victorian engineers installed channels in the floor to carry hot water into the building after being heated in boilers outside. There was no artificial light in the library until 1929. Reliance on the sun for light and heat kept the library’s opening hours incredibly short – the Library only opened from 10 a.m. to 3 p.m. in the winter and 9 a.m. to 4 p.m. in the summer. The Library includesthe 15th-century Duke Humfrey’s Library, the 17th-century Schools Quadrangle, the 18th-century Clarendon Building and Radcliffe Camera, and the 21st-century Weston Library, with the Bodleian Law Library a few hundred yards away on South Parks Road. Sadly the general public cannot enter the reading rooms as that right is reserved to members only. 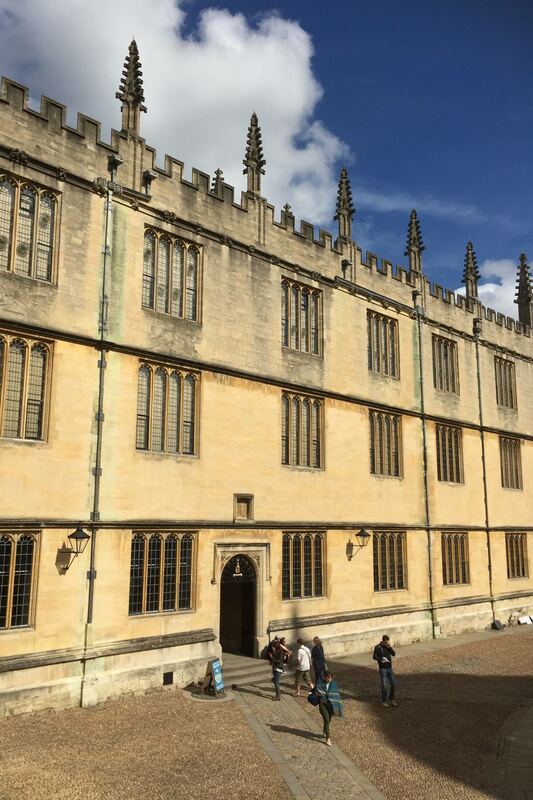 Other parts of the library can be seen during the guided and self-guided tours, different ticket options will allow you visit the interior of Divinity School, medieval Duke Humfrey’s Library, and the impressive Radcliffe Camera. 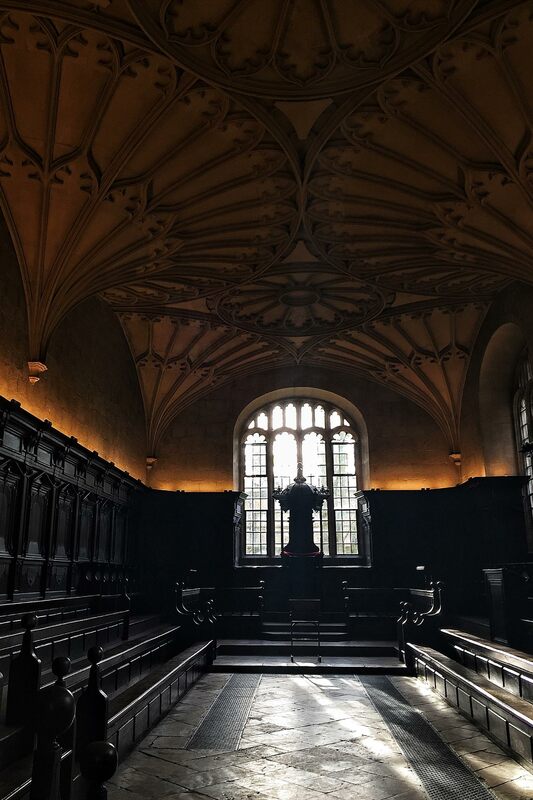 One of the highlights of these tours is the 15th-century English Gothic Divinity School, featured in the Harry Potter films as Hogwarts library, which possesses a remarkable vaulted ceiling with the initials of its many benefactors. Want to see more? 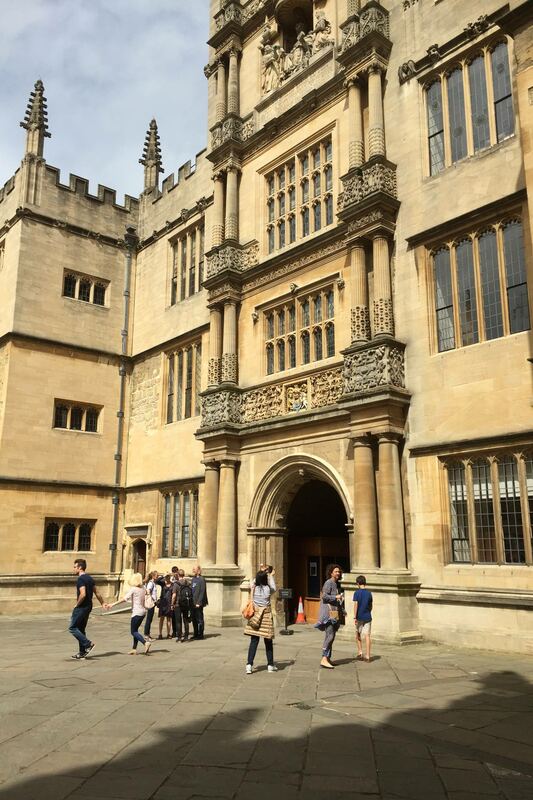 Visit the full gallery and get to know The Bodleian Library better. 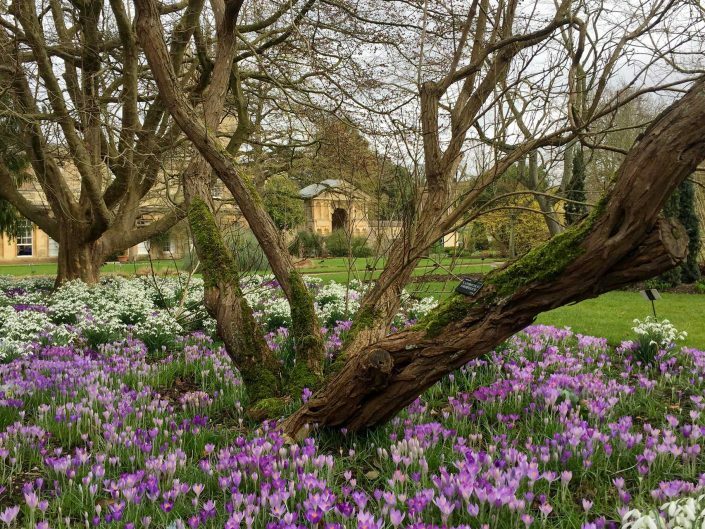 The Bodleian houses some of the rarest and most expensive books in the world. The Library bought a copy of the Gutenberg Bible in 1793 for £100 (1/5 of the library’s book budget that year). The smallest book in the Bodleian collection is ‘Old King Cole’ published by Gleniffer Press, which is 0.9mm high. The longest item is a printed roll of the Bayeux Tapestry, which is over 7m long. 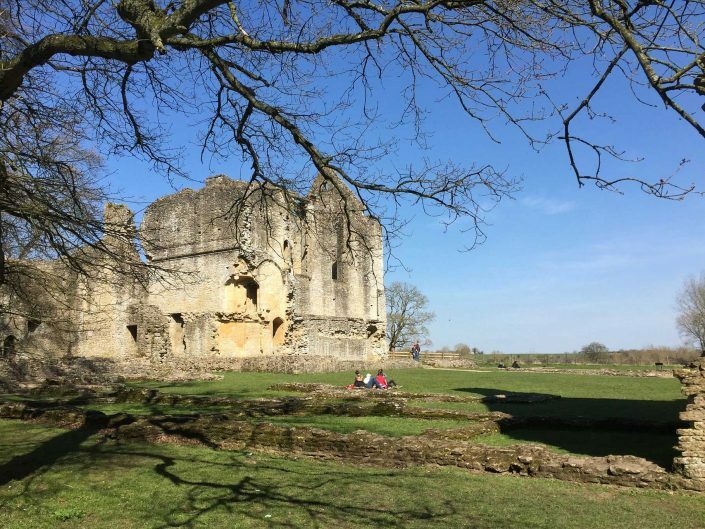 Check out a regular programme of guided & self-guided tours. Enjoy a bite to eat at the new Bodleian Café in the Weston Library. Find beautiful presents from the Bodleian Shop. Discover a wide-ranging activities taking place at the Bodleian Libraries. Image credits: Statue of Lord Pembroke at Old Bodleian Library by Meraj Chhaya and The Bodleian and The Duke Humfrey’s Library by David Iliff.